Avid gardeners know this problem well. 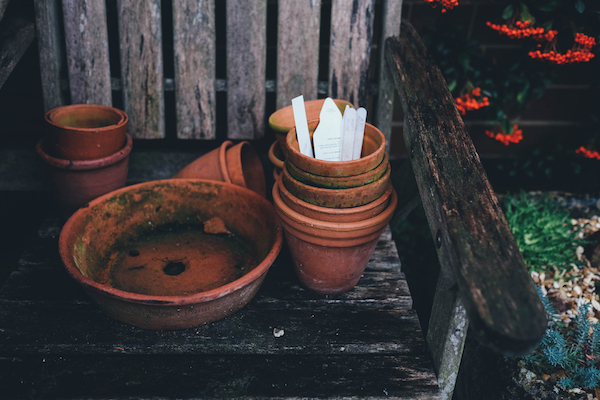 We can’t leave for summer vacation without making sure we have a dedicated friend, neighbor or family member who will promise to come over every couple of days to water the garden. Saving water and labor is not the only benefit GAPS coco coir brings. Selvakumar, who goes by Selva, notes that this plant-based material has an added bonus of naturally adding many helpful nutrients, including nitrogen, phosphorus and potassium, to the soil. Not only that, coco coir is eco-friendly, biodegradable, and offers a sustainable alternative to peat moss. Spaghnum peat moss grows very slowly in bogs, gaining less than one millimeter in depth per year, which means it takes millennia for it to reach a form that gardeners can use. Peat moss harvests have to be carefully regulated because peat provides a valuable habitat for rare plants and animals. On the other hand, coco coir, sometimes known as “cocopeat,” is considered quite sustainable. In fact, this soil amendment is made from a byproduct that, for many years, no one had found a use for. 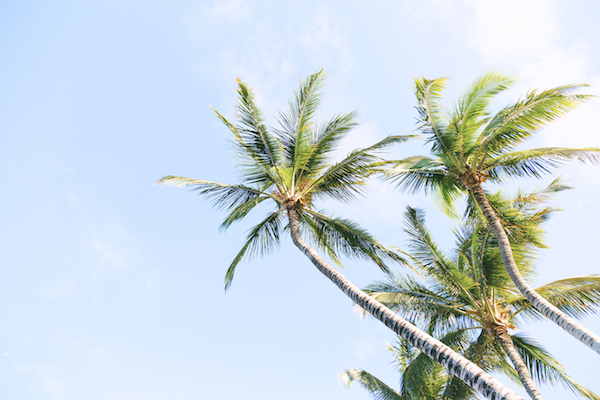 Coconut fruit had long been used, and even the long fibers from the husk could be used in many of the ways hemp can be: rope, doormats, brushes, and even upholstery stuffing. But the short fibers left over after coconuts’ long fibers have been removed did not find a use until recently. So finding a highly beneficial way to use these short fibers means that they don’t just go to landfills! And unlike peat bogs that develop over thousands of years, coconut palms only take six to ten years to produce fruit after germination. When it comes to gardening, the source of your materials is always important. Selva produces GAPS EcoSys products on his family farm in India and produces the coco coir blocks in his own factory. This allows him to monitor the quality carefully at all steps in the process. His family has been in the coconut business in India for two decades, and began importing coco coir in 2015. Not only does Selva have a family background in working with this plant, he also has a PhD in biotechnology and has studied the science of plant-based materials. Not only that, GAPS EcoSys coco coir is organic, listed through OMRI, an organization that provides an independent review to assess whether products meet organic standards. 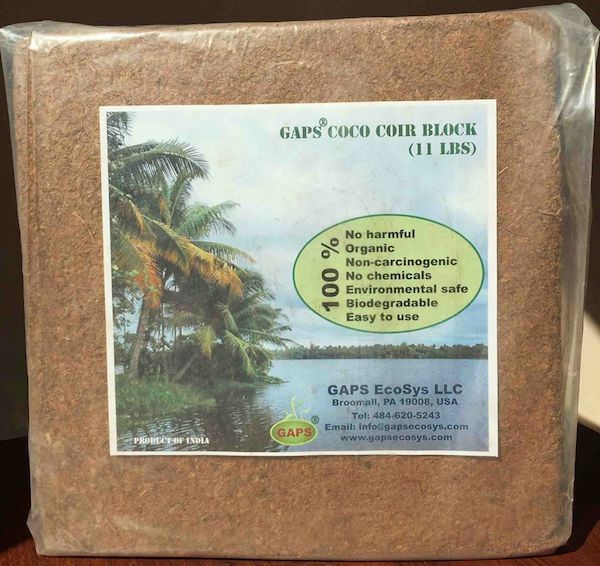 Blocks of coco coir may look small, but a little goes a long way since gardeners add water until the block expands to many times its original size. (Watch this video from GAPS Ecosys to see how it’s done.) Holly Thorpe, Wolff’s resident Penn State Master Gardener, explains that an 11 lb. block expands to provide 2 cubic feet of coir, “enough to fill a large wheel barrow,” she says.